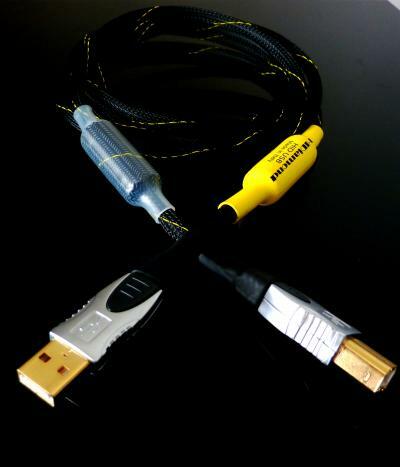 New Cable HI-Quality USB A to USB B . Study for DAC signal transfer. Metal connectors gold plated to provide maximum security in connections, pure copper conductors for a 4 VRC linear transfer at very low capacity, inductance and resistance, double shielded to eliminate any disorder in radio frequency, double ferrite to undo the EMI (Electro Magnetic Interference).